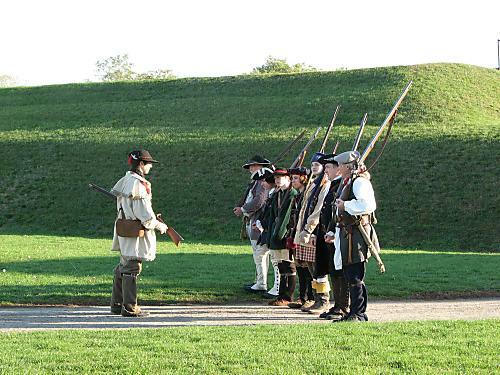 As the "Independent Militia Company", we portray the average militia company during the American Revolution. We are a loose organization, along the lines of a Commitee of Safety. Commitees of Safety were set up in various communities to manage the militia and represent the community at large at county and colony level assemblies. Our unit contains both men and women who seek to portray those individuals who helped to form the young American Republic. Through our shared experiences and comradery, we educate ourselves and the public that the Founding Fathers aren't just old men in dusty books, but actual people with thoughts, hopes and dreams. We generally attend 5-7 events per year, mostly from Spring to Fall. Pictures from these events can be found here on our website.